During National Tourism Week, Tourism Burlington together with the Burlington Hotel Association are offering a complimentary Tourism Industry Ambassador Training session for frontline, seasonal and middle management staff that support or work within the Hospitality Industry. 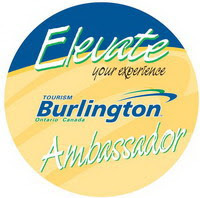 Our goal is to develop local Tourism Ambassadors who are aware of the many attractions, accommodations, events and activities that are of interest to tourists coming to Burlington. 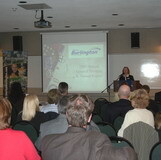 With this information, ambassadors are then able to encourage visitors to extend their stay by making light of all the great things beautiful Burlington has to offer. This interactive and informative training session is suitable for tour guides, front desk and reception staff, bus and taxi drivers, restaurant hosts and anyone who has regular contact with visitors to Burlington. If you have new staff that are unfamiliar with the city, it is a great orientation or serves as a refresher to learn what’s new. This year we will be awarding the 3rd Annual Pickle Awards to employees who have been recognized by their peers as demonstrating exemplary customer service who have also gone above and beyond the call of duty. We’ll also feature speakers from Bronte Creek Provincial Park, the Museums of Burlington, the Burlington Art Centre, the Historical Society as well as the Burlington Performing Arts Centre to highlight all the great things to see and do in our wonderful city. Participants will receive a wealth of knowledge about our city as well as an Ambassador Pin and Certificate for attending. We look forward to seeing you at this session. To register, please see our registration form or for any other inquiries, please contact us by May 31st.